I knew I had to use an add on macro lens to photograph this nail polish to show all the different colours that make up The World Is Not Enough. Just look at it! The reason I never wear this nail polish though: it needs five coats to become opaque. Yes five! I haven't found the right colour to wear under it to reduce the amount of coats it needs and it's a shame as it's such a beautiful and unique colour. 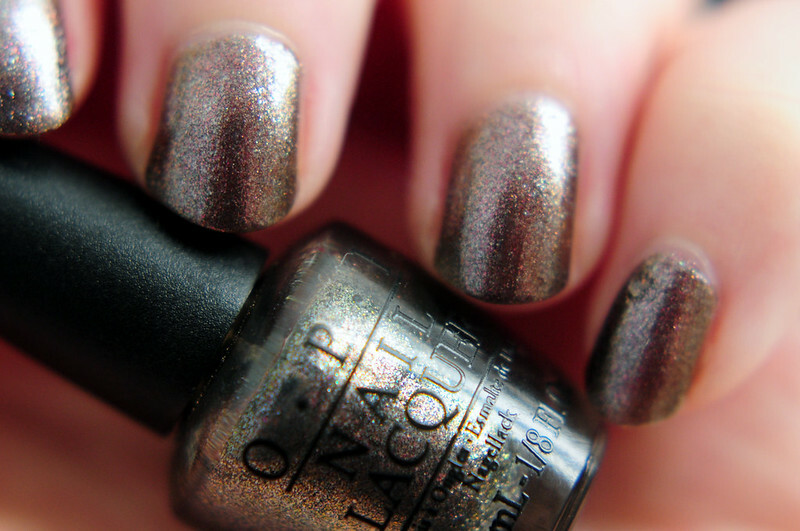 Oh gosh, this lacquer is a must have for fall! I've fallen in love!